Wedding Flowers in Pittsburgh. 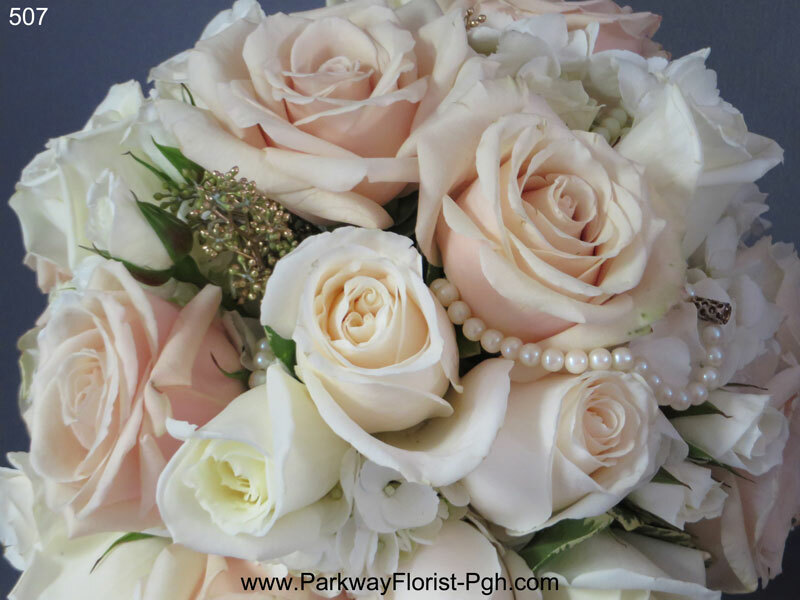 Parkway Florist is one of Pittsburgh’s premier wedding, party and special event florists. With each wedding we plan, we consider it our task to create beautiful interpretations of the uniqe style and personality of the wedding and the participants. We are prepared to combine your special wishes with our expertise to ensure perfection and…. Romance, Elegance, Uniqueness, Tradition, Flair, and a “One of a Kind” “Special Event” on your wedding day! We are just a little bit different…not the same old thing! No “set” minimums, or packages that you must order. We know Weddings, and we are highly qualified to advise and assist you through-out your wedding planning process, from selecting a floral theme that best reflects your tastes and budget, through each step. We will ease the process and make it a pleasant experience to treasure, and to ensure your satisfaction. The high standards which are our trademark are provided for every wedding or party event, regardless of size. So Just Relax! We make all the arrangements! At Parkway Florist personal service and attention to detail is our specialty. We provide you the time your special day deserves, turning your wedding dreams into reality. We create personalized designs for your wedding from traditional to contemporary. Creating designs for weddings from intimate celebrations to gala events. We choose only the finest, hand-selected flowers, presenting you with the ultimate in freshness and quality. Just as your day is special so is each flower. The textures, colors, shapes and fragrances you choose should reflect your personal style and complement your gown. 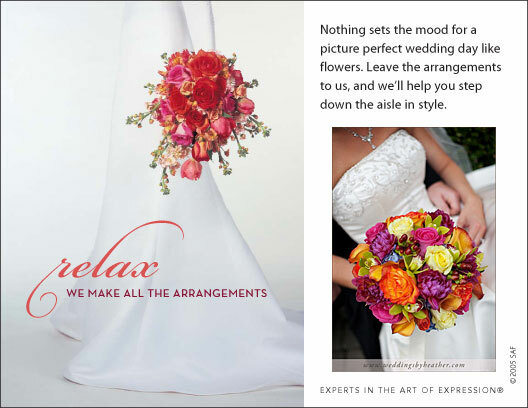 We accommodate your desires of exotic, natural, seasonal or traditional flowers and custom create your bouquet. Consultations Exclusively are by appointment only. Call us at 412-937-1100 or email us at cheryl@parkwayflorist-pgh.com to request an appointment. Advance planning is your best assurance of a truly special event.